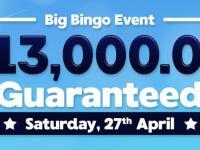 You’ll have a whale of a time in Vic’s Bingo latest promo, Ocean Riches Tournament! Join us for some maritime madness between the 25th and 31st March, and we’ll award you one point for every $1 wagered on bingo, one point for every $10 wagered on slots and two points for every $1 wagered on selected slots! Simply deposit a cumulated $50 during the tourney and you could take home the $.200 cash jackpot for first prize, $550 cash for second prize or $350 cash for third prize! 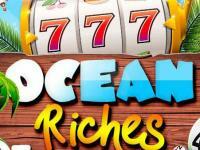 Dive into the ocean of fun and find out what treasures await you in the Ocean Riches Tournament! Spring is in the air, and in celebration of the brand new season, we present the Spring Luck Tournament! 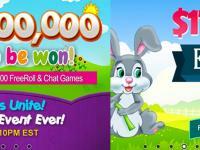 Get in on the action by winning the most points during the tourney! 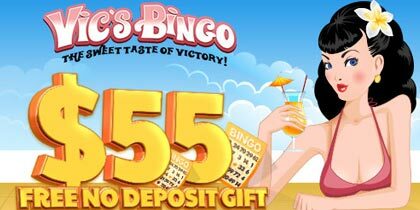 Simply deposit a cumulative $75 in a day during the tournament time frame and we’ll award you one point for every $1 wagered on online bingo, $1 wagered on slots and two points for every $1 wagered on selected slots! 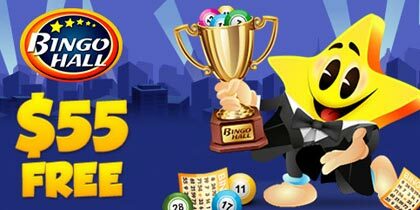 Join us between the 18th – 24th March to play for a first prize of $2.300, with $700 for second prize and $300 for third prize winners! It’s that simple so why not spring into action and try your luck in the Spring Luck Tournament! This is not a Mirage! This month we are bringing the magic of Sin City to you with our Rush Reel to Vegas tournament running for a whole month! 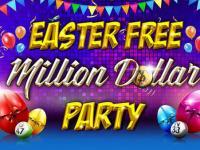 To be in with a chance to hit the jackpot, simply join us at any time between the 1st and the 31st of March and deposit a minimum of $1.000 in the promotion time frame. 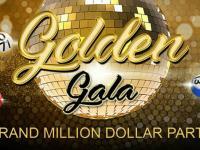 We will award you a point for each $1 wagered on slots games and two points for each dollar wagered on selected games and the winner with the most points at the end of the month will receive a trip to Las Vegas worth $15k! There’s $5.000 for second place, $2.500 for third place and $1.000 for fourth to tenth place! Hit the Strip with us as we take you to Las Vegas in March!